Security lab F-Secure released its 2011 Mac Malware Summary earlier this week, noting that Apple's platform had faced "several dozen" new threats throughout the year. To calculate the figures, the firm counted unique variants of malware that occurred during the second, third and fourth quarters of 2011. "We prefer a more conservative approach when counting malware. The more generic and family based, the better," the report noted. According to the summary, a total of 58 malicious software variants were detected during the period. Trojan-downloaders made up the bulk of the attacks with 29 variants during the period. Backdoor malware was the second-most common with 15 separate instances detected. The report pointed out that the number of malware attacks remained small when compared to Windows malware, though it did note that last year's number was "definitely something" when compared to the number of Mac threats seen in previous years. 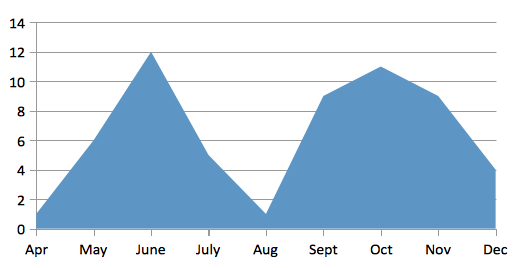 June was the busiest month for Mac malware with 12 known threats, followed by October with 11 instances. "As we correctly predicted back in May, Mac malware has not scaled continuously due to market share, but rather, is more the result of opportunist "bubble economies" that have produced new threats in fits and starts," researchers said, adding that they expect "more of the same" for 2012. Last spring, a malware emerged that billed itself as MACDefender anti-virus software. Apple eventually dealt with the issue with a security update. A Russian online payment site was later linked to the MACDefender scam. Another Mac OS X trojan was discovered posing as a phony Flash Player last September. An updated version of the software even sought to disable Apple's built-in anti-malware capabilities. Apple added a daily malware definitions check to Mac OS X last year in order to preempt possible attacks. In some cases, updates to the malware definitions have managed to head off threats before they became functional. As for the iPhone, iOS remained relatively unaffected by malware last year. Security researchers found Apple's mobile operating system to be untouched last August, even as threats to Google's Android mobile operating system grew rapidly.